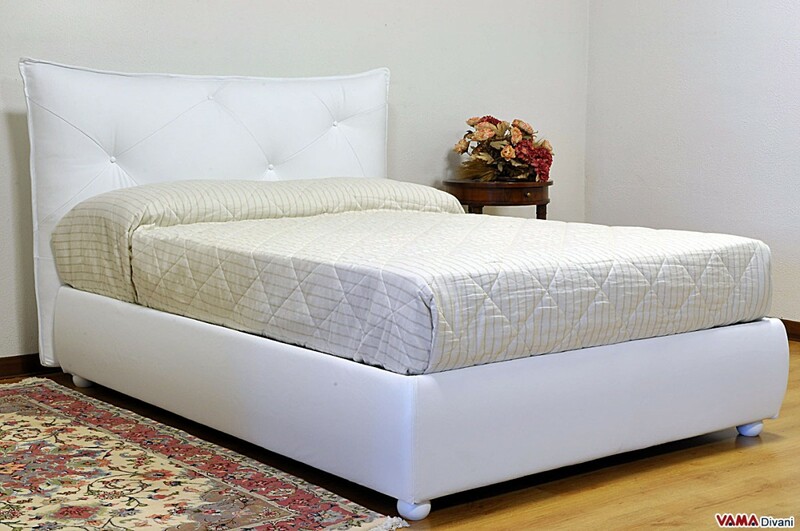 Duty is a very original and captivating contemporary bed, a model made in top quality grain leather that certainly highlights its special headboard. The headboard of the Duty bed, in fact, features an unusual, nice, soft and enveloping shape, which is embellished with a simple but effective decoration, a sort of buttoned details characterised by a very large and especially completely random pattern. 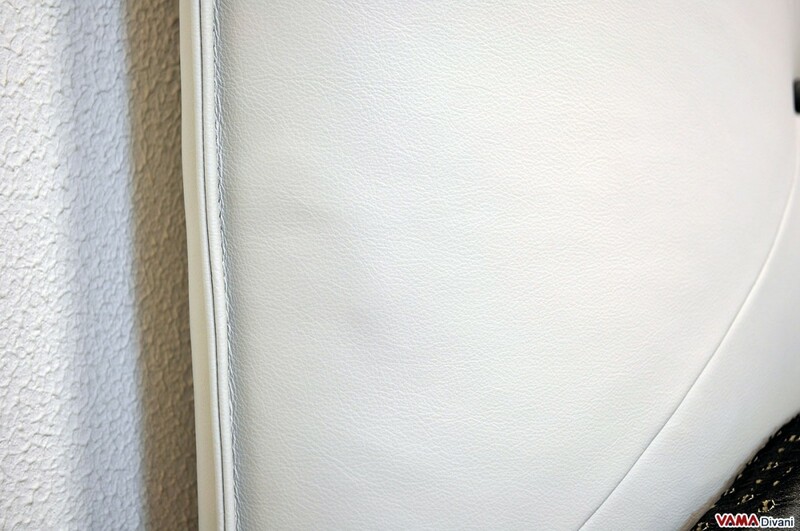 The decorative black buttons recreate a beautiful contrast with the grey colour of the leather, and there are other very interesting details, such as its steel feet which present a very modern design. 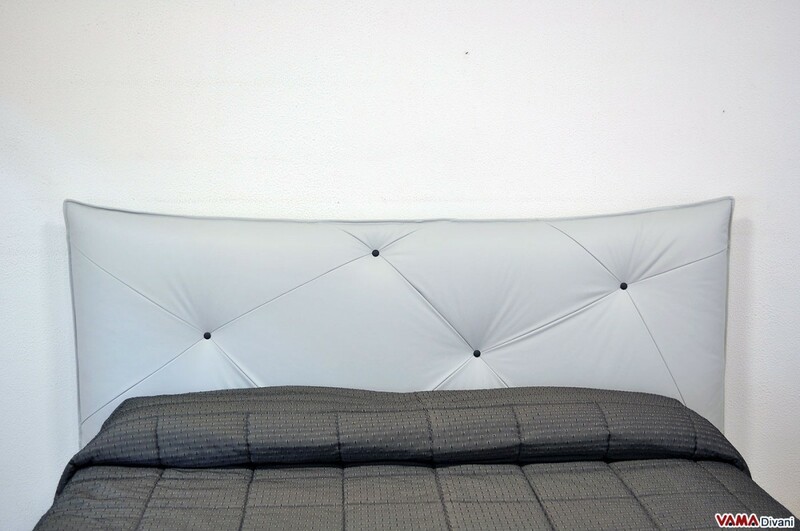 You can customise this Duty model according to your needs, you can choose the type and the colour of its upholstery, you can select its dimensions and sizes, from single to double version, from a French bed to a Queen size one. 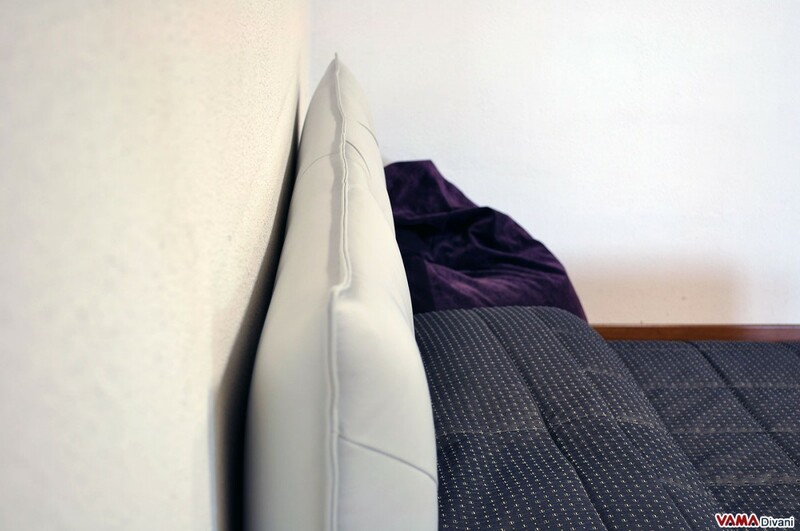 Moreover, we can realise custom beds following dimensions, pictures or ideas provided by the customer. And if you want to make your Duty bed even more exclusive and special, do not hesitate to choose the version with the storage box. 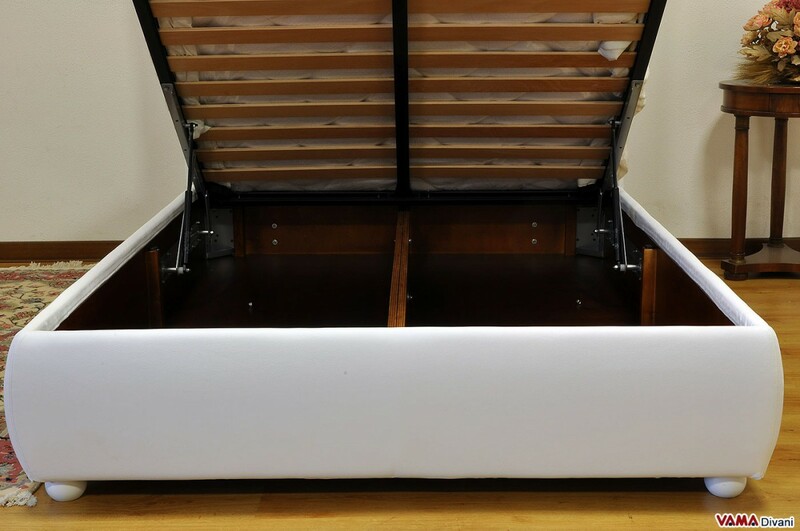 Our Storage beds, are very spacious and sturdy: you can even jump into them! 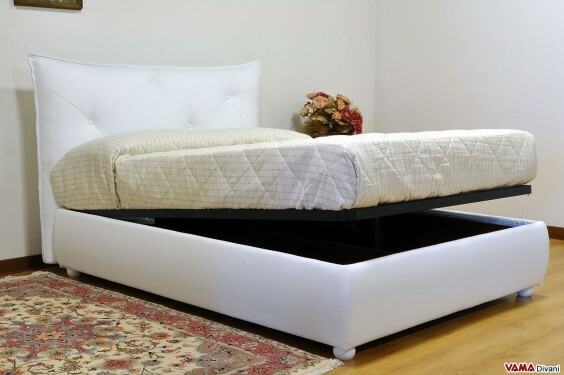 Perfect for modern and Minimal rooms, this beautiful double bed can be realised by VAMA Divani even in customised versions.